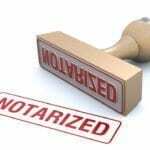 When people are faced with needing notarized documents in Calgary, they often do not know what to do. All articling students and lawyers in Alberta are also Notary Publics. There are also notary publics who are not lawyers. Any of these people can notarize documents in Calgary for you. At Kahane Law office, we have over a dozen notaries able to help you. This makes it quick and easy to come in. (we also have free parking and are located in a central location without the hassle of downtown driving.) Call today for your appointment: 403-225-8810. 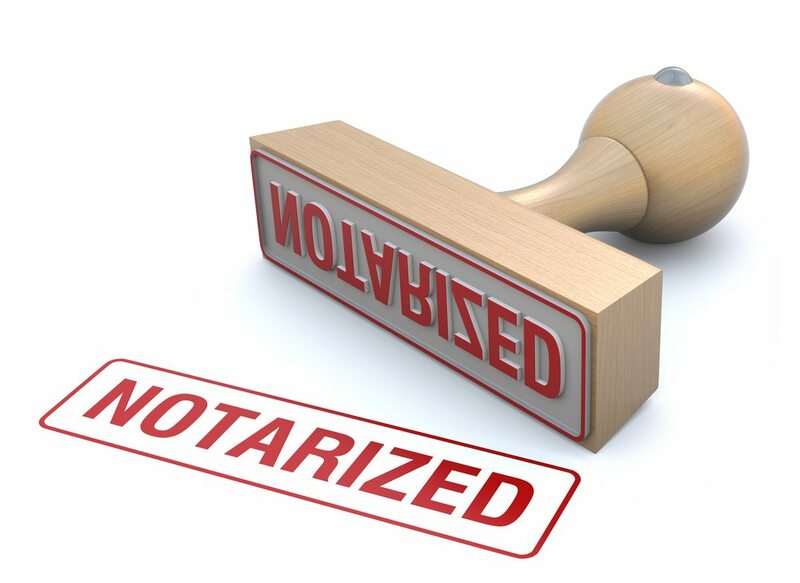 Our law firm offers two ways of getting documents notarized. We offer service by scheduled appointments or you can just drop in. Drop in notarizing is subject to the availability of one of our lawyers. We are often able to offer immediate drop in service but at times you may need to wait 20-40 minutes. The longest waits are often over the lunch hour as some of our notaries will be out of the office. If you need to come in over your lunch time, it is best to make an appointment or come just before or just after the noon hour for notarizations. Scheduled appointments for notarized documents save you the wait. Bring in a second piece of ID that is either government issued photo, or with a signature, including credit cards or health care cards. All people who are signing the document must come to the appointment. We cannot notarize a document without being present when the document is signed. Bring in any paperwork that relates to the notarized documents. Please do not sign the document to be notarized before your appointment. For original true copies, we will need to make a copy of the original document. Please bring in the original. We often get calls from people who want to book an appointment for a notary but really need something else. This happens for a few reasons. Sometimes people do not understand the nature of the documents that they want to bring in to the lawyer. Other times, people think that they will save money by booking a notary appointment instead of some other service. This often delays dealing with the documentation. The most common ares that people book a notary instead of another service include: Certificates of Independent Legal Advice, personal guarantees, separation agreements, out of province transfer of property and cohabitation or prenuptial agreements. While these services do cost more than a notary, it is because there is a lot more work and liability involved. Make sure to let us know what type of document you want to bring in and we can book you an appointment with the appropriate person for the appropriate amount of time. This will save you having to come back for a second appointment. We offer walk-in or while-you-wait service. You decide what is easier for you. We are here to help. If you are not sure if you need a document notarized or something more, then call and ask. We are always happy to help. To schedule an appointment with one of our lawyers for document notarization, call us at 403-225-8810 in Calgary, Alberta, or email us directly here.